Optional full size double in main saloon. 2 Propex heating systems, A 2.6kw to cover saloon and a galley and a further 1.2kw unit in aft cabin. 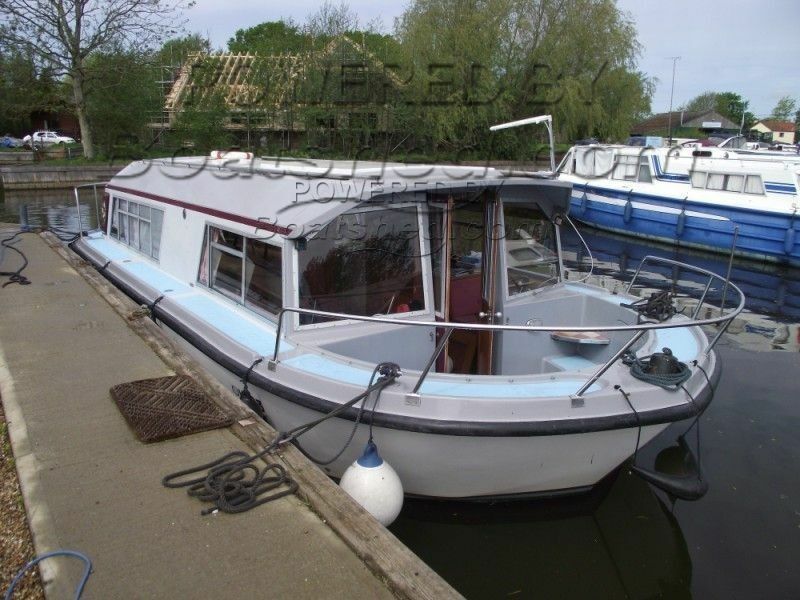 Bounty 30 Fwd steer Broads/River Cruiser that has been well cared for by her current and previous owner. Kept to a good standard with a host of recent upgrades. Full survey from 2015 available. This Bounty 30 has been personally photographed and viewed by Gary of Boatshed Norfolk. Click here for contact details.